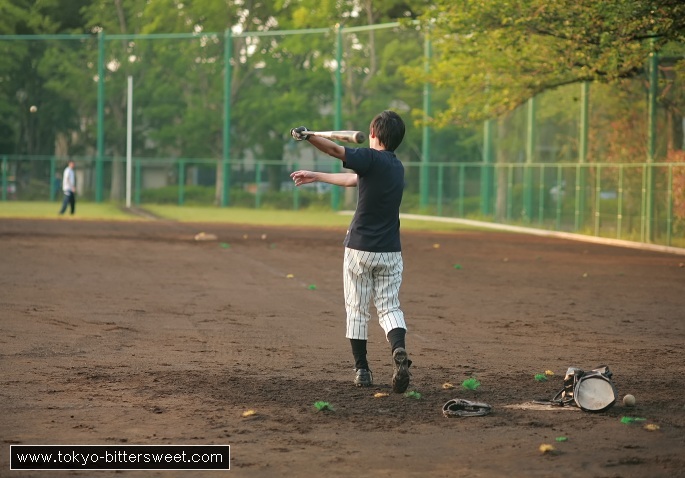 Hanegi park in Daita, Setagaya-ku, has several fields for outdoor sports. I guess most of them are for use by students of the local highschools. Here a young batter is shown on the field of dreams, practising his art.